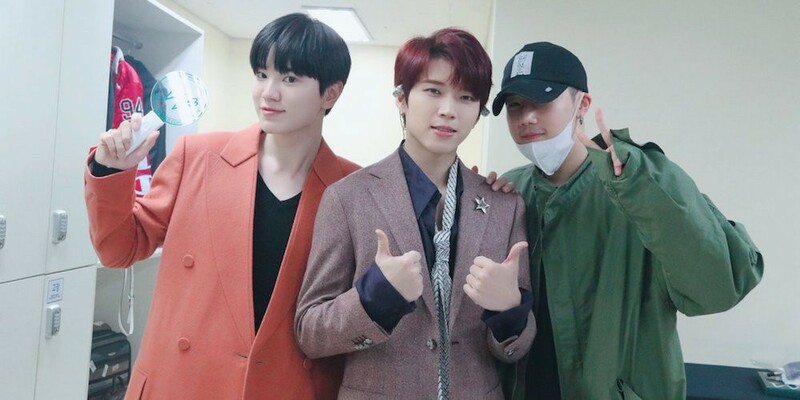 INFINITE's Woohyun was able to wrap up the first day of his 1st solo concert 'Arbor Day' on November 2, thanks to his fans as well as his fellow members who came to support him - Sunggyu and Sungjong! INFINITE's official Twitter shared the heartwarming post below and wrote, "The first day of #ArborDay ends successfully thanks to the immense cheers of #Inspirit which filled up the entire venue. Plus, some more familiar faces came running to cheer on #ArborDay. Leader Ggyu whom we're seeing for the first time in a very long time, and maknae #Jjongjjong! Seeing the INFINITE members together again is making us happy enough to plant an infinite number of trees!" The occasion is even more special considering that Sunggyu seems to have taken a vacation day from his mandatory military service to come and see Woohyun's 1st solo concert! Meanwhile, Woohyun's 'Arbor Day' continues on November 3 and 4.